Return To Excellence: The Passing Of Leo Linbeck Jr.
FairTax national headquarters in Houston announced on Saturday the passing of Americans For Fair Taxation®'s Chairman and Co-founder Leo Edward Linbeck, Jr. National's note included - "He poured his time, resources, energy and unwavering passion into advancing the FairTax." 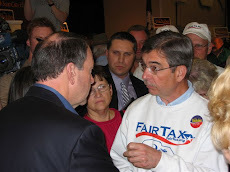 The last e-mail I received from Mr. Linbeck demonstrated this passion for the FairTax which really was a reflection of his patriotism & love for America – "If one supports the principle that consumers should pay the FairTax with no exceptions or exclusions on the new goods and services they buy, then one should follow this principle wherever it leads them. The vendor does not pay the tax, the vendor collects the tax. 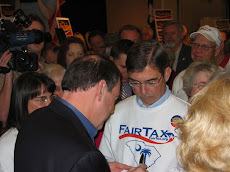 To apply the FairTax in accordance with this principle, the vendor does not determine the applicability of the tax, they just follow the principle for collection. This results in governmental units who supply new goods and services to consumers (ex -cafeterias, trinkets, security, etc) to collect the tax. Just follow the principle in establishing the application. L2"
Doug - sorry to hear of the loss of Mr. Linbeck. He sounds like a man on a mission, and will surely be missed.